» Are you buying yourself any Christmas presents? 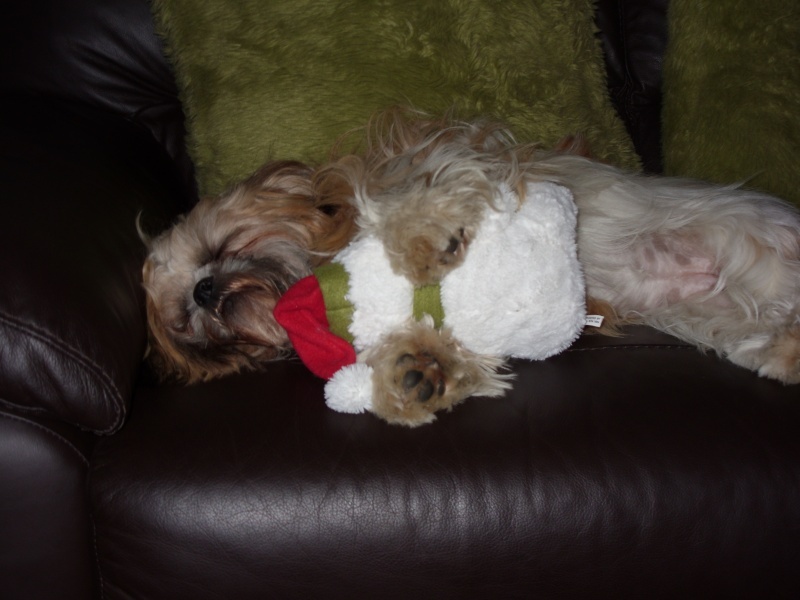 Many congratulations to Tucker as the winner of the Christmas photo competition. May I also take this opportunity to thank Stuart Forsyth of Dog Food Dave for judging the competition. 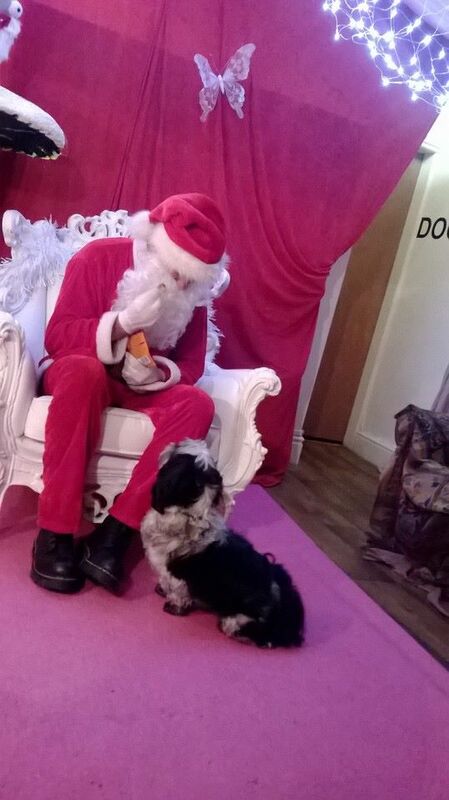 Second place in the Photo competition is Archie visiting Santa. Many congratulations. Cuddling Santa on the sofa. Congratulations to you. congratulations to the winners and thank you all who entered . We will get Tuckers photo on the banner as soon as we can. Oh my goodness, I cant believe my little Tucker has won! what a clever little boy! Well done to all. I thought all the photos were lovely. All Shihtzu's are beautiful. Thank you and Thank you from Tucker too. I am pleased you are pleased Tracy. His coat is coming on a treat. 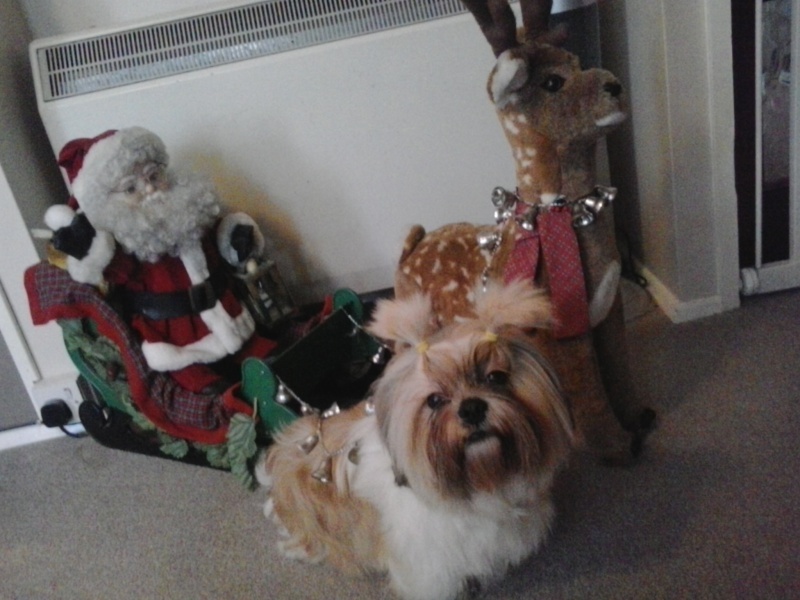 And I agree Shih Tzu's are a fabulous breed.